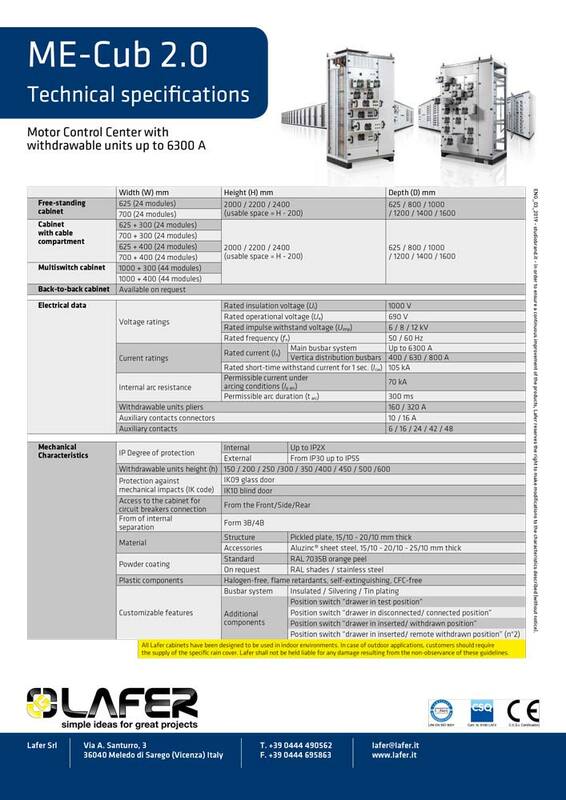 Motor Control Center with withdrawable units up to 6300 A – 105 Ka (IP30 – IP55, from FROM 3 up to FORM 4). A product range designed for motor starting and control. 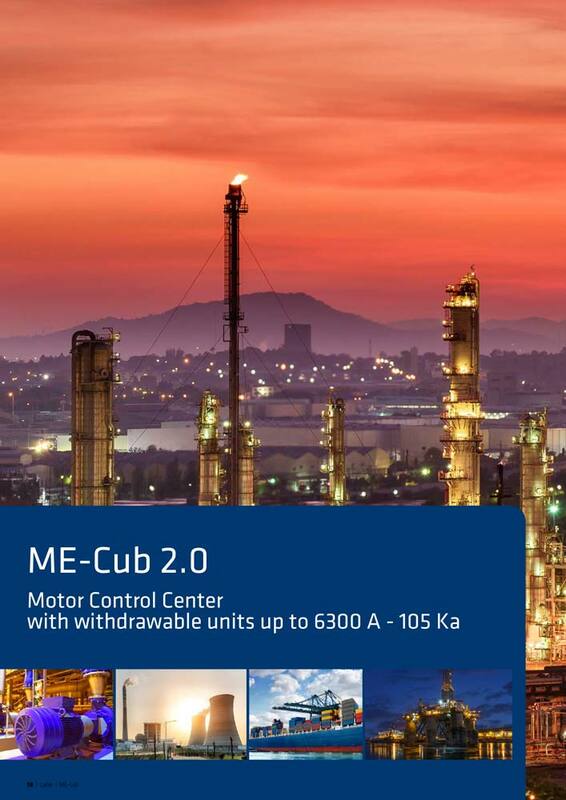 Me-cub 2.0 versatile design can accommodate different sizes of withdrawable units providing a solution to all types of applications. 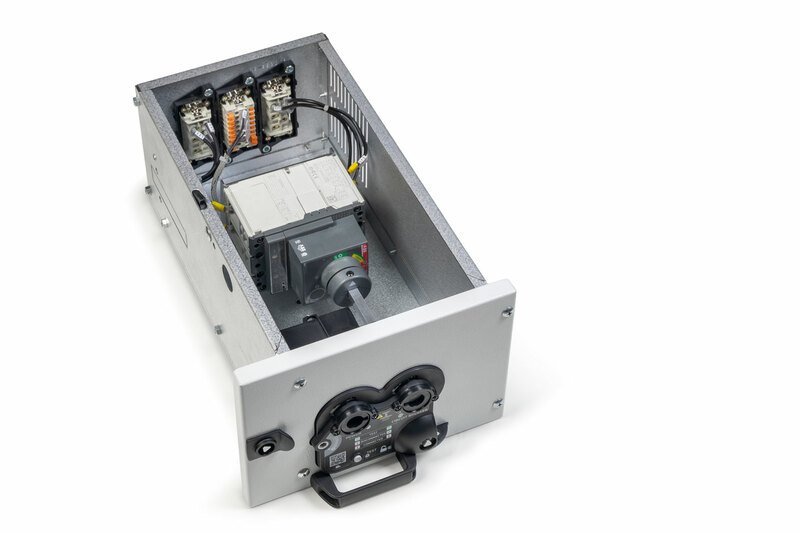 Assembled sheet metal enclosure (uprights thickness: 20/10 mm). 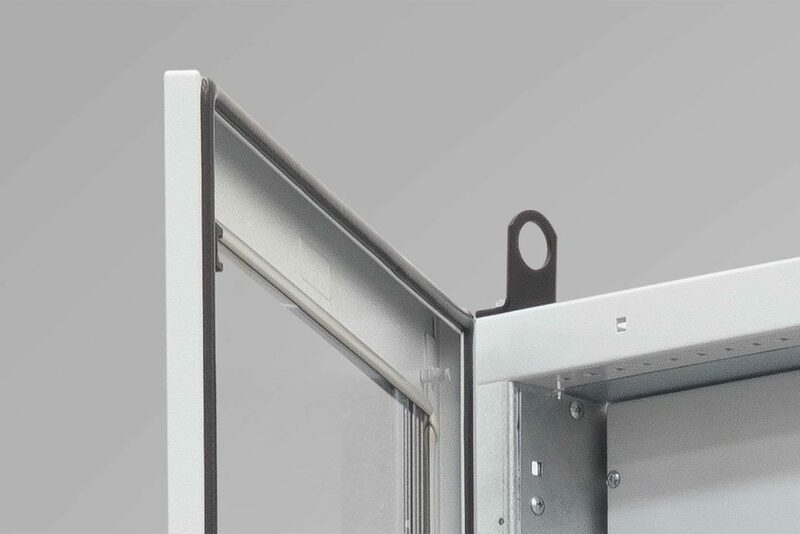 Degree of protection from IP30 (cabinet without door) up to IP55 (cabinet equipped with transparent tempered glass door). 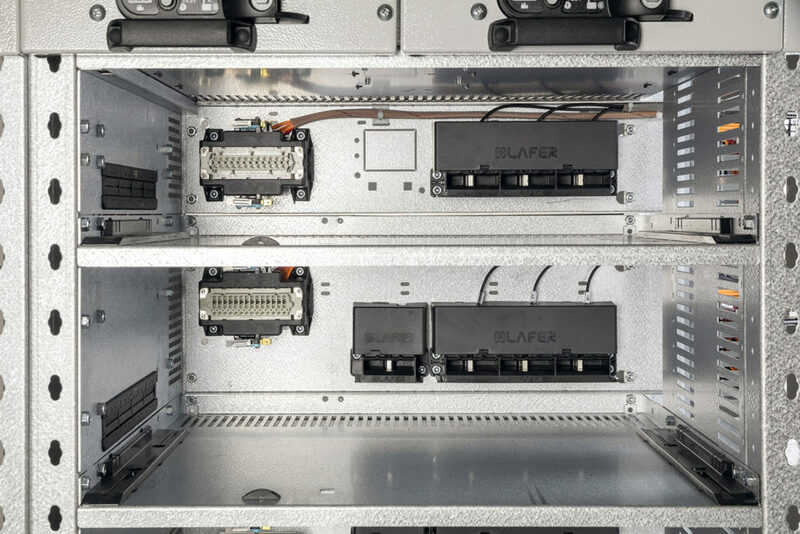 Compartment equipped with side and horizontal partitions, rear wiring plate with female connector for auxiliary circuits and power pliers . 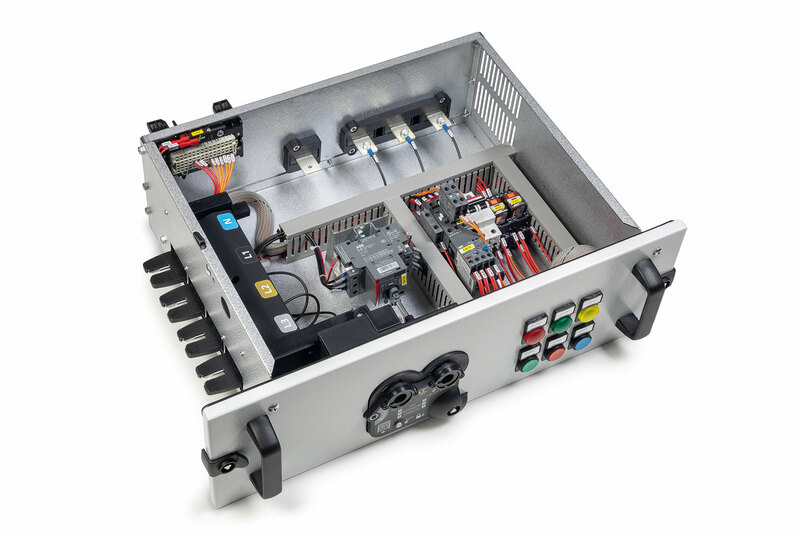 Withdrawable unit equipped with customizable front panel, SwitchLAF™ 2.0 system, male connector for auxiliary circuits and power contacts. 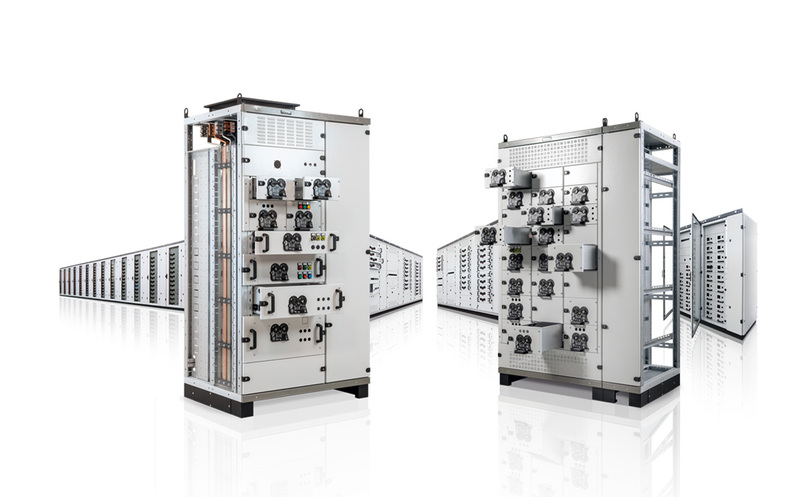 Installation of circuit breakers of all leading manufacturers (ABB, Schneider, Siemens,etc.). RAL 7035 B epoxy powder coating (other colours on request). Enclosures available in stainless steel on request. 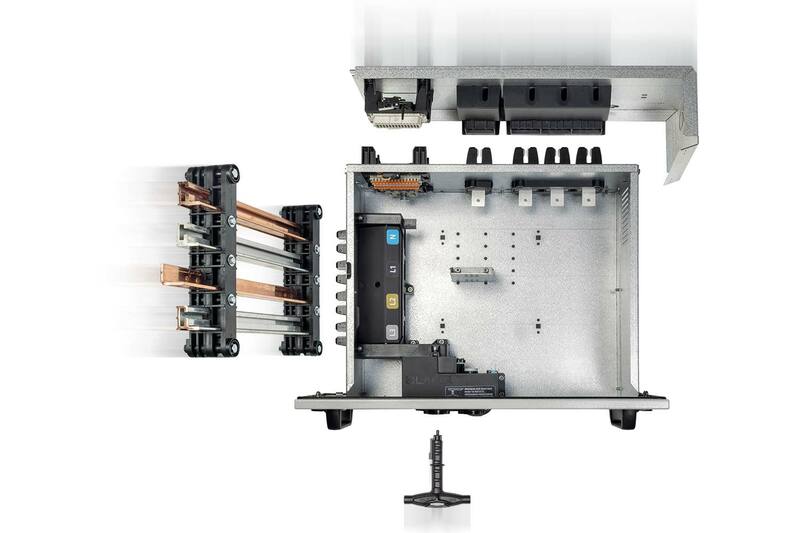 Patented and certified earthing system. 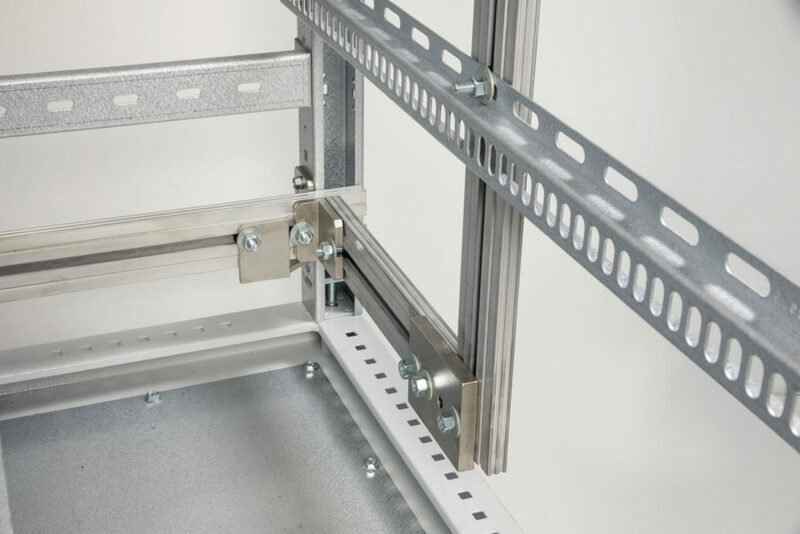 Reinforced plinth for a safe handling of the enclosure. 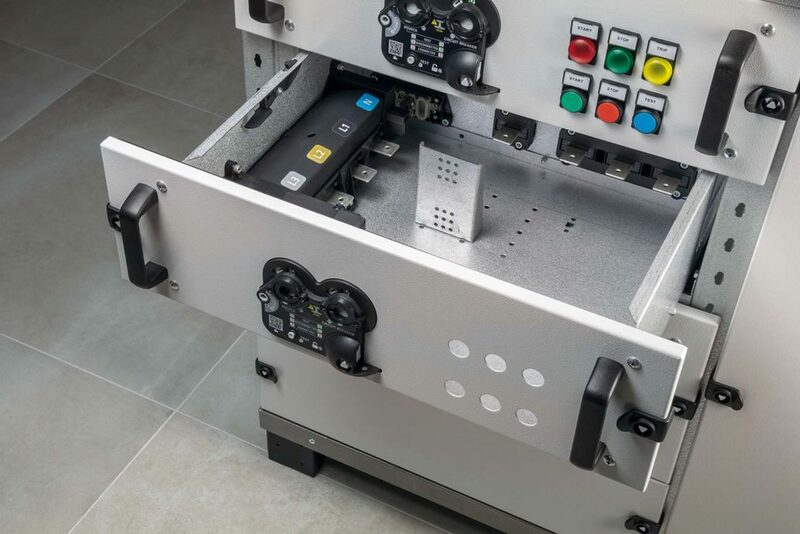 Full range of internal finishing accessories to meet any requirement. 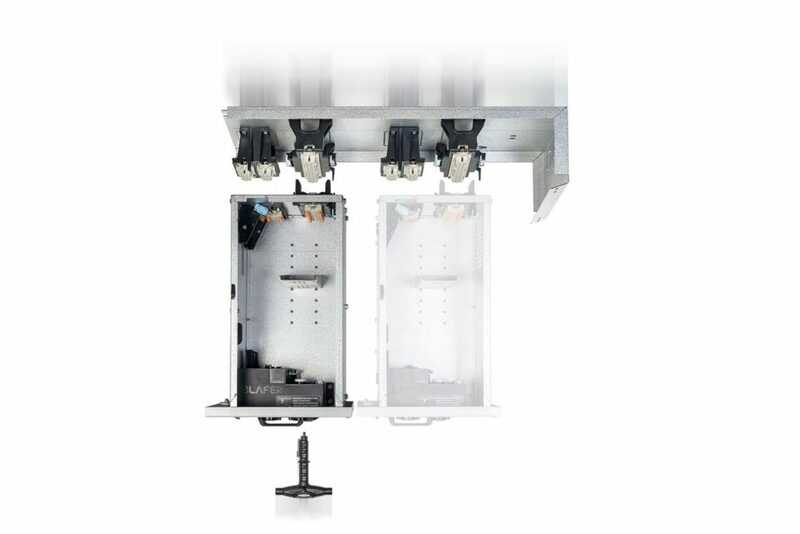 Enclosure compatible with UNIT ,½ UNIT and ½ FEEDER withdrawable drawers and fixed drawer. 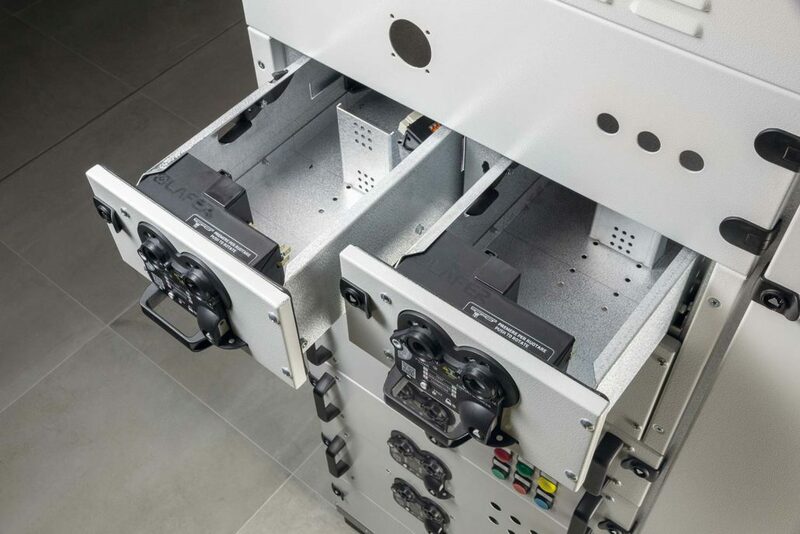 Enclosure compatible with ½ UNIT and ½ FEEDER withdrawable drawers. 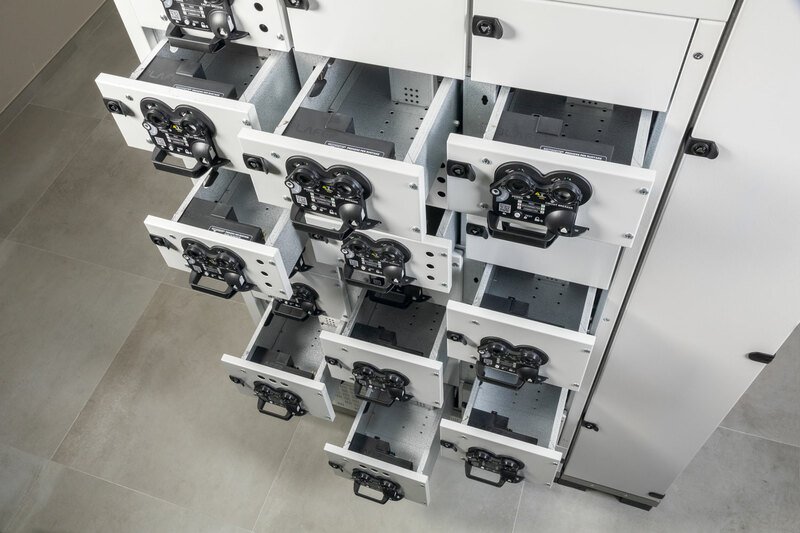 • All available layouts ( free-standing cabinet, cabinet with cable compartment or MULTISWITCH cabinet) can be equipped with glass door to achieve an IP55 degree of protection. 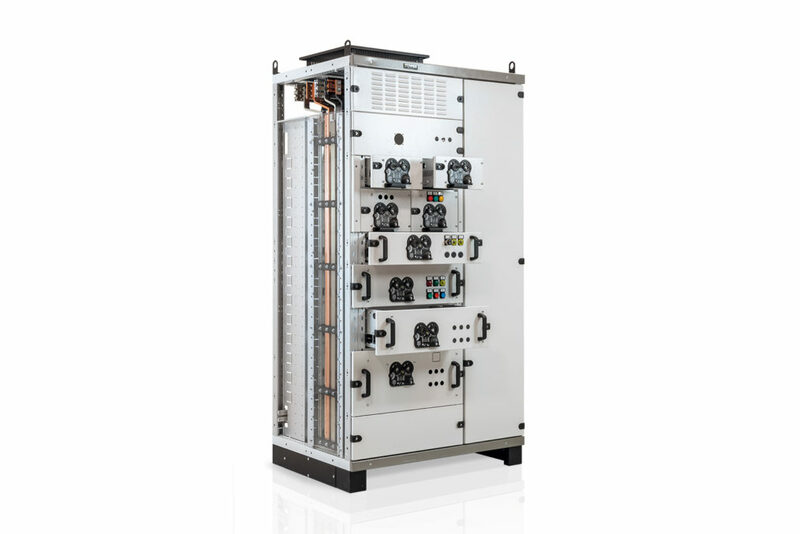 SwitchLAF 2.0 interlocked with circuit breakers of all leading manufacturers (ABB, Schneider,Siemens,etc.). 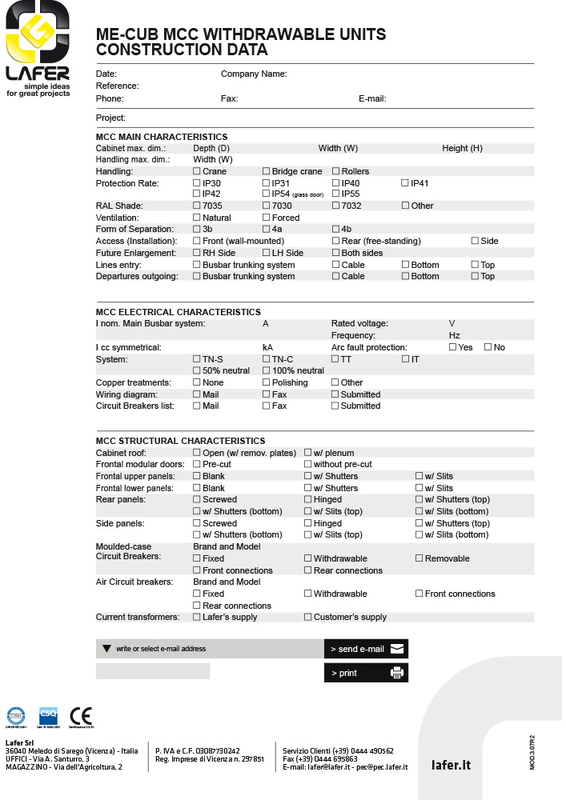 Configurations available from form 1 up to form 4 with front or back access. 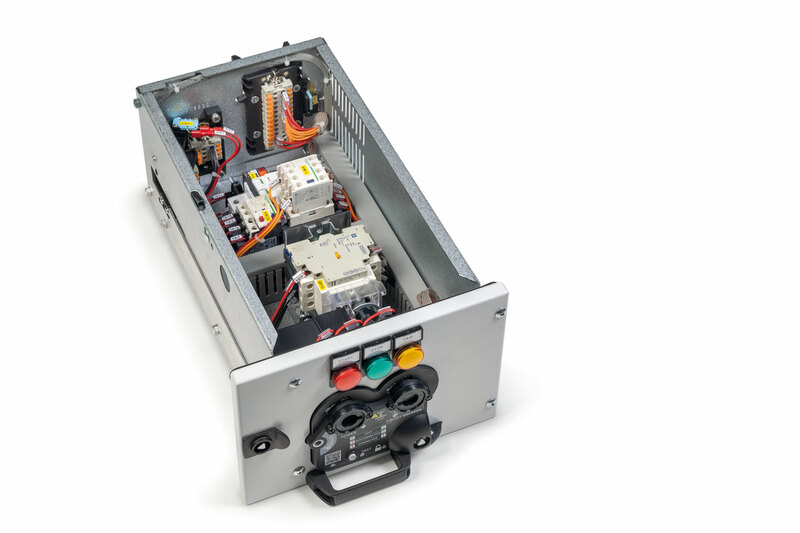 Me-cub 2.0 enclosures can be laterally combined with those of Automation, PW-Tech and MC-Cub series. 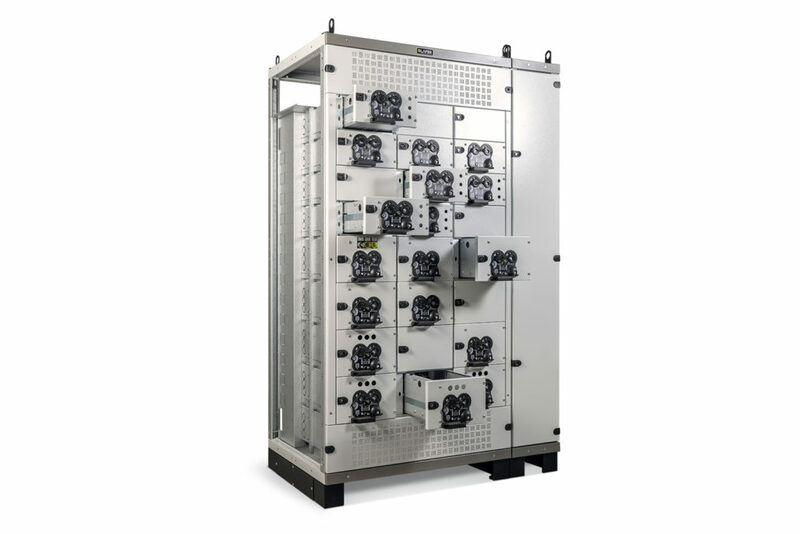 Development of the enclosure layout and calculation of the temperature rise limits according to regulations in force by means of FAST-ONE product configurator. 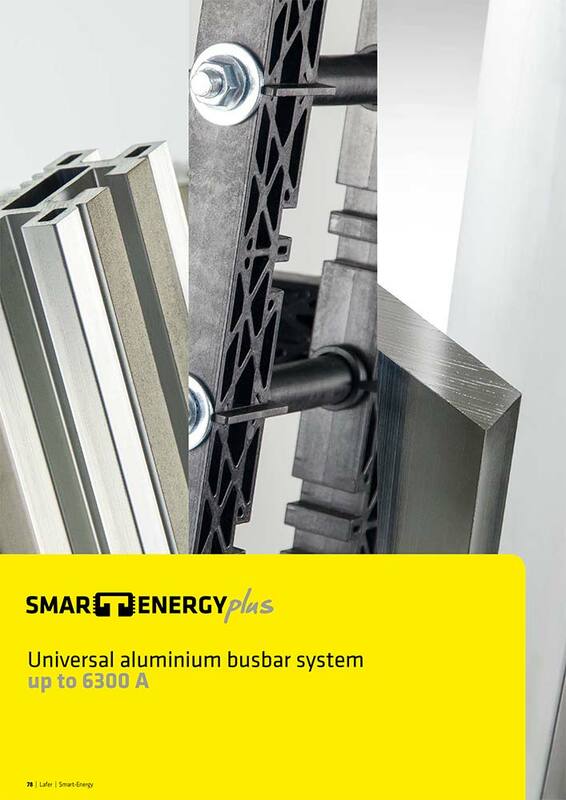 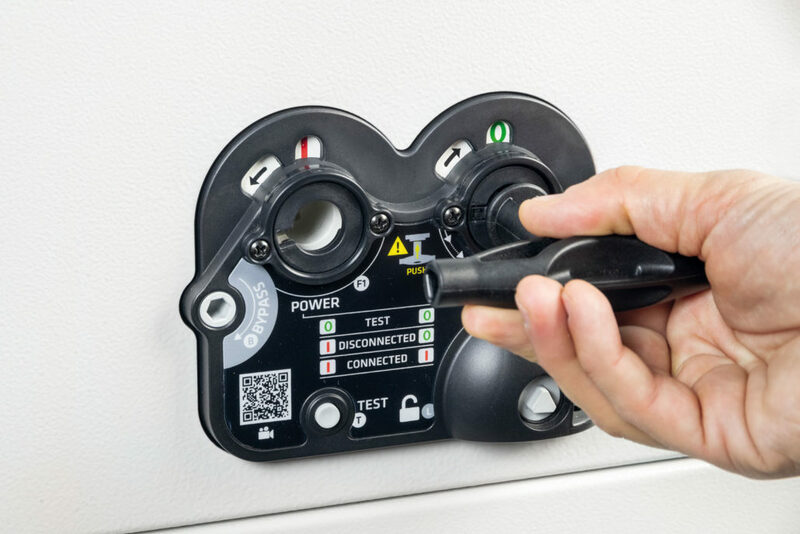 Busbar systems certified by accredited bodies (IPH Berlin-CESI Milan) for all circuit breakers available on the market. 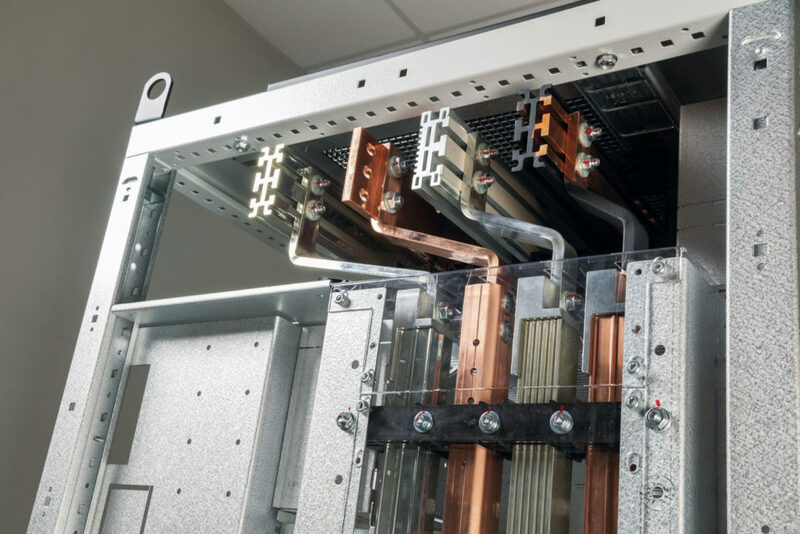 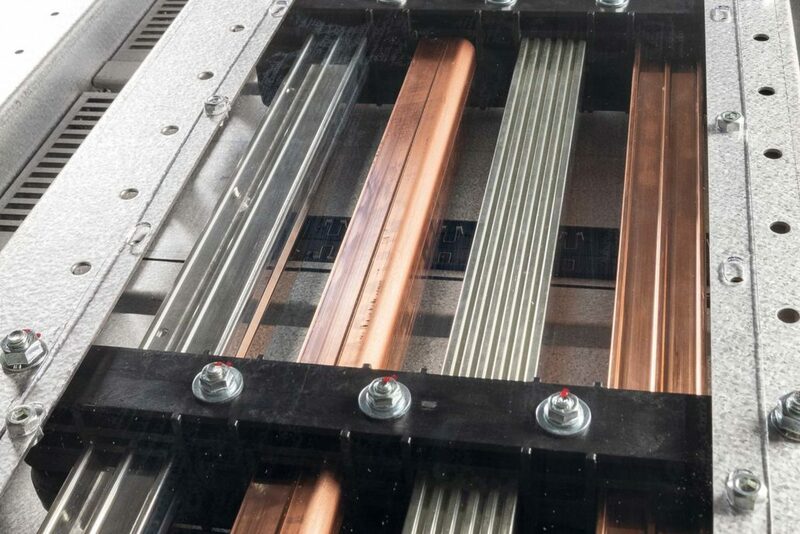 Smart-Energy/flat copper certified busbar system.